Our highly experienced team at Automotive Assist Service Centre bring over 40 years of combined experience to ensure that whatever repairs you require, you’ll always receive a qualified and reliable solution. When it comes to cars, we never cut corners. We provide timely and reliable solutions that maximise your safety. Repairs can be a financial burden so we keep prices competitive while still ensuring the best service for your vehicle. With a 6 month, 10,000km guarantee on workmanship, you’ll always drive away safe and satisfied. 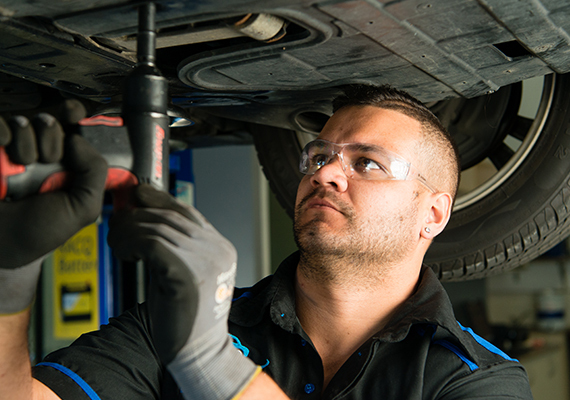 Whether you require general car repairs, ute repairs or 4WD repairs, we know that it can put the brake lights on when it comes to going about day-to-day life. We work hard to ensure that you get back on the road again fast, while maintaining the highest standards possible to keep your safety and the safety of your passengers in check. Need brake servicing and replacement? We can assist. For general vehicle repairs, don’t wait any longer, request a booking today. Copyright © 2017 Automotive Assist Service Centre. All rights reserved.